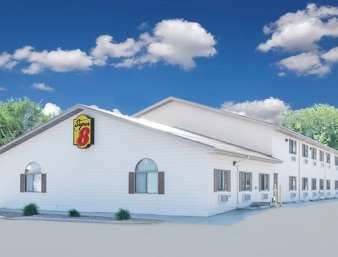 The Super 8 of Lisbon would like to welcome you the heart of the Sheyenne River Valley. Situated on the National Scenic Byway, Lisbon boasts the best of two worlds, the safe, peaceful charm of a small country town and the modern conveniences of a healthy growing city. After a long day of traveling retire to one of our 26 clean and comfortable 100 percent non-smoking rooms. We offer excellent customer service, expanded cable with HBO and Cinemax, and a Super Start Breakfast. A hulking hunk of nuclear hardware honors the Washington politician who brought it here. Free public park augmented with concrete statues of fairy tale characters, including a contingent from the Land of Oz. Visitors center, gift shop.